lspci command – List all PCI device including Ethernet cards (NICs). ip command – Display or manipulate routing, devices, policy routing and tunnels on Linux operating systems. 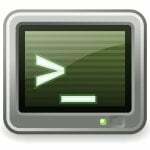 ifconfig command – Display or configure a network interface on Linux or Unix like operating systems. See how to change duplex settings with the ethtool command under Linux operating systems. Thank you. It was the exact solution of my problem. All the commands in here are >practically< useless especially if you consider that most of the visitors that will check this would be linux newbies….